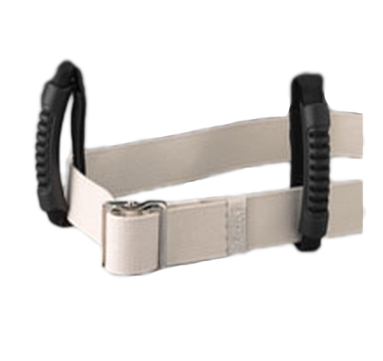 Posey Grip Handles fit all 2 inch wide Gait Belts and enhance standard Gait Belts that are used as a Mobility Aid by providing a more secure grip while assisting patients with ambulation. 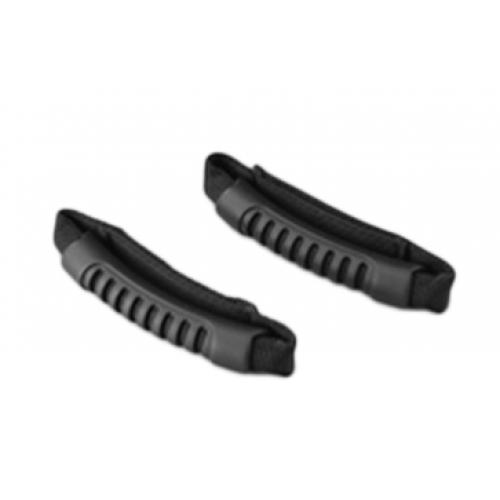 These Grip Handles are made to upgrade existing Gait Belts with a vertical hand grip that is stronger and provides better support when using as a Lift Aid for assisting patients from or to a bed or chair. Posey Grip Handles have a 300 pound per handle weight capacity. The Posey Grip Handles feature a 1 inch soft touch, over molded, round plastic handles that provide a firmer handhold and come two per pack in black. Grip Handle Product Number: 6558. Size: Fits all 2 inch wide gait belts. Great handy idea to save care giver's back and help patient be safer & more confident. Great back saver for caregiver. Also helps patient feel safer and more confident. We have this gait belt at home because my father is real old. I am a medical attendant and I know how to use gait belts so we bought this so in case of emergency, we can just carry our dad to the car and at the nearest hospital. I preferred this one because of the handles. Not only does it look cool, it also make the lifting easier. The add-on gait belt grips and handles helps in preventing caregiver back injuries while assisting in ambulation or safe transfer. The various holding position offered by the product make us prefer the item when compared to other products of similar use. My grandfather used this product while transferred to a hospital and I find it very useful and easy to use. It is a quality product and I will recommend it to anyone.